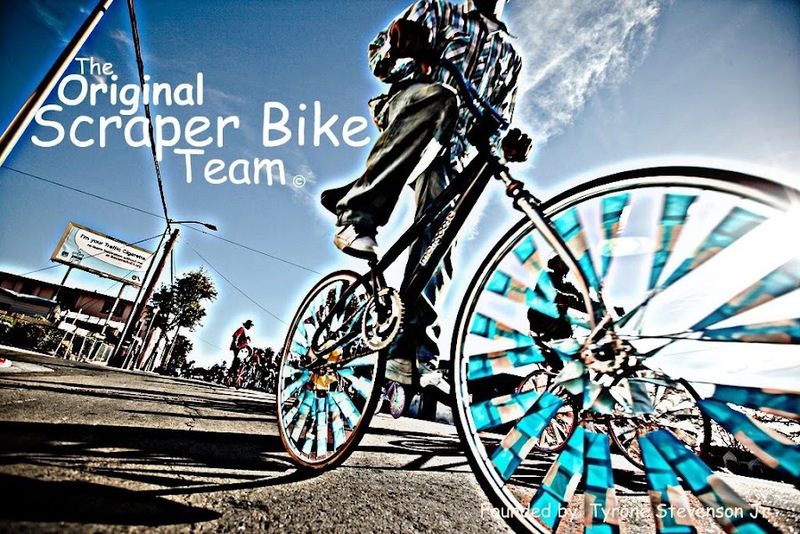 The City of Oakland Parks & Recs Department, has dedicated an entire week to the Scraper Bike Movement. This week long camp will be focused around bicycle repairs, bicycle safety and creating what call a Scraper Bike. Helmets and bike safety gear will be given to all participants!! We would like to take this time to thank our community and the City of Oakland for supporting this movement, and creating this summer camp. If you would like to be apart of the Scraper Bike Camp, find a participating park near you and simply register. Only for ages 7-13....Volunteers Accepted!! I'm a Brazilian journalist and I'd like to contact the organizers of the project. What is your e-mail? Helmet use has been estimated to reduce head injury risks bt 85%. As long as the scrapers don't wear helmets...it sends out the wrong message to kids...As a former Traumatic Brain Injury R.N. - we have a saying..."Once a brain injury, always a brain injury." I have pimped out my helmet to match my scraper bike...please make it cool to wear a helmet...love what you are doing!! !